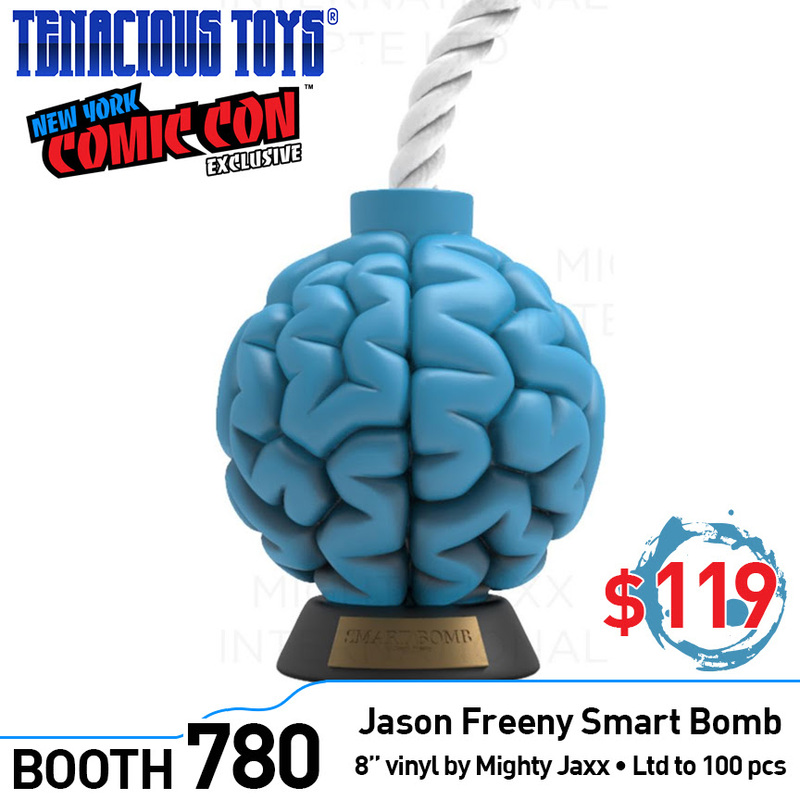 Tenacious Toys has announced their next New York Comic Con 2018 Exclusive, the Smart Bomb 8” vinyl figure by Jason Freeny and Mighty Jaxx in Tenacious Toys’ signature blue color. You’ve probably heard of the nuclear bomb, the atomic bomb and the photo bomb, but are you familiar with the Smart Bomb? This groundbreaking bomb was developed in the most secretive underground laboratory, one that was said to be capable of changing the course of humanity itself. Created by renowned artist Jason Freeny, check out the world’s first cure for stupidity – the Smart Bomb! 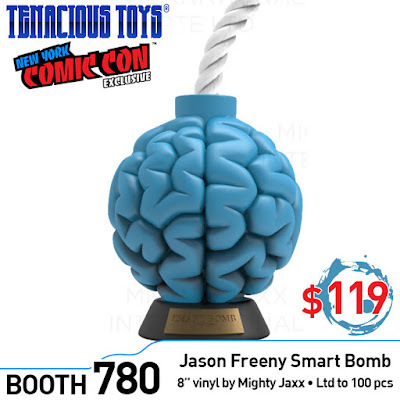 The New York Comic Con 2018 Exclusive Blue Smart Bomb by Jason Freeny and Mighty Jaxx stands 8” tall and is limited to just 100 pieces. Collectors can purchase this limited edition vinyl figure at the Tenacious Toys NYCC booth #780 for $119. Each purchase includes an exclusive blue Smart Bomb enamel pin.